Great Waters Financial has grown at a rate of 87.8% each year from 2014 through 2016. They started 2014 with just six employees and now have more than 30. I’ve been told that they’re not even financial services veterans, but former car salesmen (not confirmed). How is this young new firm growing at such an incredible rate? Three things: technology, specialization, and great marketing. Great Waters Financial was recently ranked number 3,139 on the 2017 Inc. 5000 list of the fastest-growing private companies, with a three-year sales growth of 105%. Last year, the firm added over $140,000 in revenue each month. To attract that much new business, you need a brilliant marketing strategy. Here’s how Great Waters is making it happen. First of all, they have a beautiful, mobile-responsive and secure website. Their site is built on the WordPress platform, so it looks great and has all of the technical features you could ask for. Their site is also optimized for search engines, so people searching for help with social security in their locations can easily find them. Great Waters markets themselves as social security experts. 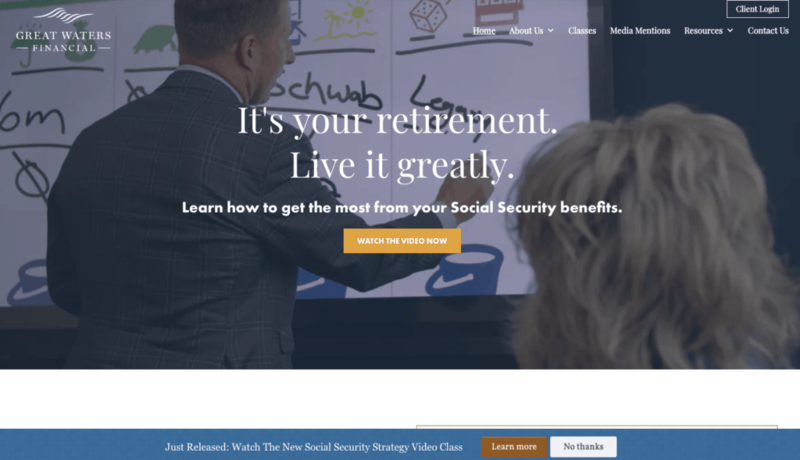 Front and center on their homepage, they invite visitors to learn how to get the most from your Social Security benefits. At the top of their website, they prominently feature a beautiful video that highlights who they are, how they help, and what makes them different. This allows prospects to better understand the firm and start getting to know them. 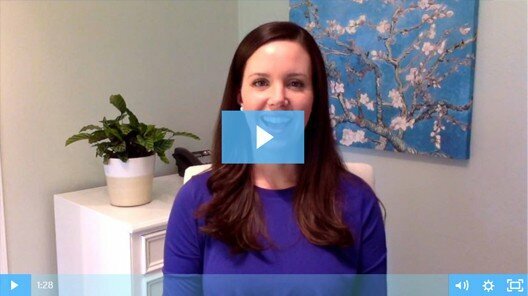 Investing in a high-quality video is an important step to help your marketing convert. One of my favorite things about their site is that they clearly lay out their client process. It’s critical to lower the emotional stakes for prospects who are considering taking the next step with your firm. By letting visitors know exactly how you work with clients, they feel more comfortable getting started with your firm. On every page of their site, visitors are invited to join their Online Social Security Strategy Video Class. By entering their name, email address, and phone number, anyone can watch the video class immediately. At the end of the presentation, the viewer has specific questions about their social security benefits and are prompted to schedule a call to get answers. One of my favorite things about the Great Waters Financial website is that it’s really simple. They don’t have hundreds of pages or rabbit holes for visitors to go down. You can watch a video, sign up for a class, or contact them to learn more. Sometimes, marketing is better when you cut out distractions instead of giving people too many choices. We help independent financial advisors to embrace a specialty through their marketing and create marketing campaigns that convert. Learn more about our websites and SEO package here. To get started creating your custom marketing plan, schedule a phone call today. Previous Post: « What is an SSL Certificate and Why Do You Need One?